After my last post some 16 months ago, someone shamelessly posted photos of some of my projects, instructions, etc. from my blogs to their facebook page, on pinterest, and on youTube. You name it, they posted it. After several nice e-mails with requests to either associate my name with the postings, and/or a link to my website, and several so-so responses without ever doing anything about it, the e-mails between us got nastier and nastier until I was basically told you-can-guess-what. I ended up trying to get my lawyer involved to no avail because I couldn't get a snail-mail address or even the real name for this person. I cannot tell you how upset I've been over this situation. Please, please, please be nice! (And LEGAL!) Do not break my copyrights by posting things from my blog, my facebook page, or my website without my express permission or credit and a link back to my website. 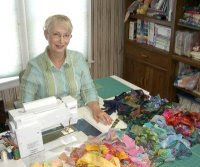 Quilting is not only my passion, but it provides a significant portion of my income. Please respect my hard work and my rights as a designer, author, quilt maker and person! That said, I think I miss blogging. I miss it a lot. It is another creative outlet that I once enjoyed very much before someone had to go and spoil it for me. I will now be very careful about how much I share, and I hope you all will understand if I don't post everything that I am currently working on. Isn't it a shame that some school yard bully has to ruin recess for everyone? I once had a BIG copyright issue on my hands. My award winning quilt that won the Best Hand Workmanship purchase award at the American Quilter's Societies annual show in Paducah was patterned (Legally, I might add....I wrote the pattern, and got royalties for it.) by C&T Publishing. Someone unknown sent that pattern to China where quilts were being mass produced without my permission, and imported into the USA for the retail market. One of my traveling quilt teacher friends made me aware of this after she saw a photo of one of the reproduction quilts in a retail catalog. After I was made aware of it, I visited the retailer's website, and the makers of the quilt hadn't even bothered to change the name of the quilt from what I had dubbed it. The items for sale were listed in the catalog as 'Star Flower' quilts. And there it was in full living color, exactly as I had designed it, in exactly the same size as I had made the original. I actually ordered one of the king-sized monstrosities at my husband's insistence, as he stated it, 'for evidence', if I needed it. Then I wrote a 'cease and desist' e-mail to the retailer who removed said item from their website within one week of the letter. I then hired a well-known copyright lawyer who knows his stuff and who incidentally, is married to an internationally known award winning quilter, author and designer. After a little research, he discovered the identities of the retailer and importer and started his letter writing campaign. To make a long story short, the retailer, and importer settled with me out of court, and I had the privilege of choosing whether all 300 or so quilts made for the retail market would be destroyed or donated to a charity of my choice. (Of course, I had them donated.) And I got remuneration for the copyright violation because it was quite clear who, what, when and where these events took place. I could not sue the perpetrators in China, because China does not honor international copyright law, among other sundry international laws. Lesson learned: Copyrights, whether registered or not, exist for the protection of a designer's hard work. When you purchase a pattern, you DO NOT purchase the right to mass produce the item patterned for profit. You purchase the right to make the item for your own personal use or to give as gifts. If no money exchanges hands, you are probably within your rights. You may sell the actual printed pattern to another individual, but you cannot sell items that you make from the pattern, if they are identifiable as made from (derived from) the pattern without entering into a royalty or licensing agreement with the copyright holder. You will read other interpretations on the internet. But only a lawyer versed in copyright law (not corporate law, or criminal law!) can give a definitive answer and then only after researching the individual case. I am not giving you legal advice here as I am NOT a copyright lawyer, just discussing with you my experience with my personal copyright battle. Every quilt I now make for competition, every pattern I produce, every word I write in a book is registered with the copyright office before I show it or sell it. Please know that I will pursue my copyrights within the scope of the law and I will seek legal advice when needed on these matters. Copyright is so often ignored, heads turned and we look the other way. With the advent of social media and the internet, it is so easy to do, and so very rare that you could get caught. Please, please, please respect other's rights, and don't be tempted to post things for public viewing without asking for permission or giving proper credit. I am quick to grant my permission when it is sought, and I will ask once that you give me proper credit in captions or in other ways. If I find that you have posted something using my patterns or designs, or my photos and videos of my work online, I may never find out, but you never know. I have a lot of quilting friends out there who have seen my work and who look out for me. There are a lot of eyes out there watching you! So sorry this has happened. It is amazing what some people will do. Was just reading a blog this morning from a quilt shop in our area. The State MN Shop Hop is going on right now and she was saying all the things that have gotten stolen from the shop during the shop hop. You wouldn't think quilters would be stuff like this, but I guess they do. It is so sad. So sorry this happened to you Elsie.. I love your patterns and your quilts. I don't post much on my blog either because of this problem that people have... No respect for others.. 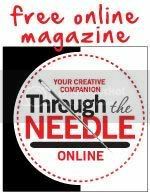 I hope and pray that we both can continue doing what we love doing.. Blogging and quilting. Glad you're back. I have to say, when I owned my shop this was the most frustrating issue for me to deal with, but I always tried to gently educate the public. Facebook is wonderful, but like everything else, sometimes there are entitled, self absorbed, ignorant people mess things up for everyone. Thanks for sharing your quilting journey with all of us despite the knuckleheads! Happy Quilting Elsie! Elsie, I'm glad you won! Debbie, I work in a small LQS in Albuquerque, NM we have some light fingered people here too. We had a couple come in last year wanting to return several yards of batik. They hadn't purchased enough for a pair of pants and there wasn't any more of that particular fabric. The owner refused to take it back for exchange and the people weren't happy. So they wandered around for a bit and then left. Right after that, an empty cardboard was found stuck behind some other things. The fabric that had been on that bolt had just come into the shop that week. There was at least 15 yards that just walked out the door! Disgusting creeps! Not enough is said on this topic, well done Elsie. I too will be on the look out for you. I don't exactly understand where that leaves a quilter who purchases your pattern, makes a quilt, enters a contest giving credit to you for the design, and subsequently wins a monetary prize. Is that ok? Yes, it is OK, if proper credit is given, and written permission is obtained before hand. I've never refused anyone that permission. Most national and international level competitions will not allow a quilt to be judged or exhibited without such permission. So sorry that this has happened to you. pinterest is a free for all for copyright ignoring. I've blocked my blog from being pinned. I couldn't believe it, they were posting whole posts...no link..
Ok. I need to know how to block pinterest. This bothers me, too. All I can do at this point is monitor it, and make sure all my photos are watermarked. But some of these people know how to remove the watermarks.